Herbalist Diana Baron will take us on a tour of summer herbs at 485 Elm. Our tour will include common weeds, native plants, and cultivated herbs in the garden beds and Back 40. We will learn about herbal actions, energetics, and preparation methods to make your own herbal remedies. At the end, we’ll share cool, refreshing tea made with herbs from right here. Updates, questions, & discussion of this event are on the garden’s Facebook page. 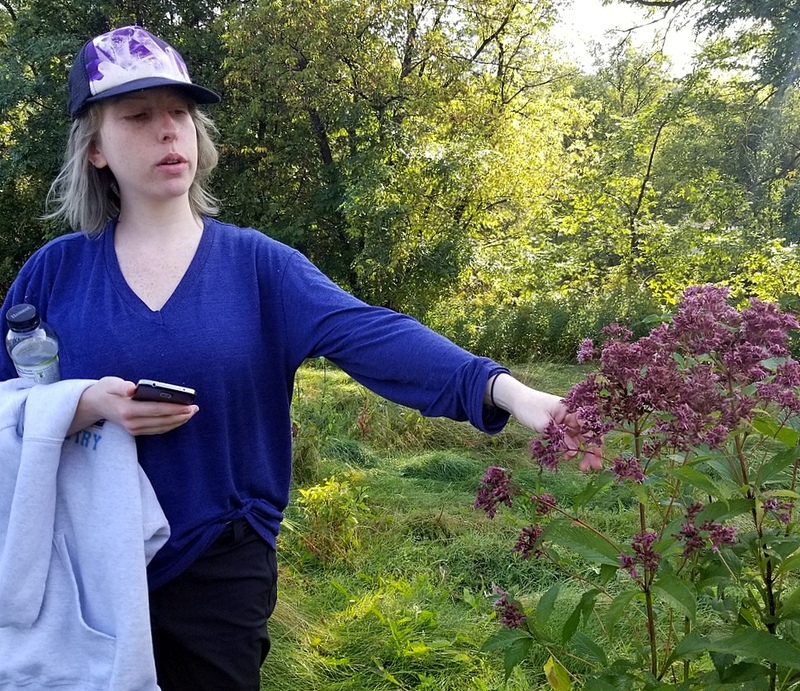 Herbalist Diana Baron points out Joe Pye weed. Sometimes more elegantly called Queen of the Meadow, Joe Pye is harvested for its roots. They’re used to break up internal stones and gravel, treat gout, heal UTI, and generally move stuck stuff.